With CrossLinx 3 technology, Crosshair IV Extreme users gain the ability to mix and match multiple graphics cards from both NVIDIA and ATI, including models of different GPU generations. This technology uses the Lucid HYDRALOGIX engine, which bridges various graphics cards to enable their simultaneous usage. By removing compatibility hurdles, CrossLinx 3 makes it possible to experiment with different configurations of graphics cards for maximum performance. 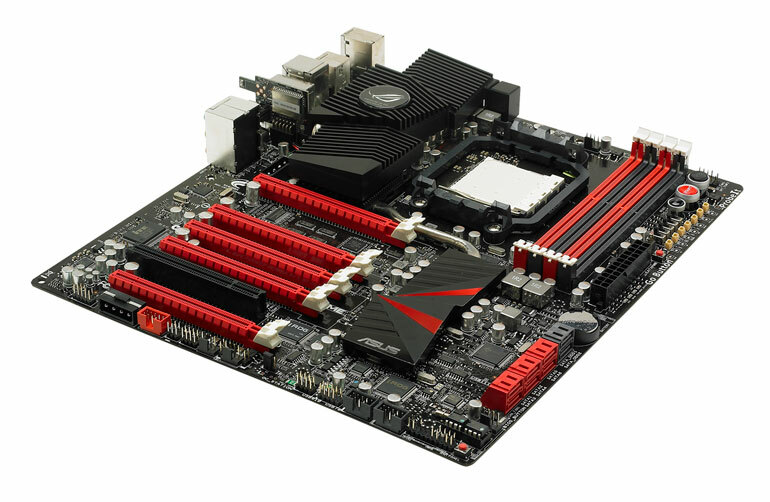 On Crosshair IV Extreme, a unique layout design features a total of five PCI Express expansion slots. Two provide dedicated native graphics card support for either a single GPU or two in CrossFire configuration. The additional three feature Lucid HYDRALOGIX and CrossLinx 3 technologies, which enable a mixture of graphics cards from different vendors and generations, with a total of four detectable and working at once. Users keen on tuning their system gain greater freedom to do so with the unprecedented five PCI Express slots, and the technology maintains optimized performance whether in single or multiple-GPU arrangements.